Hi everyone! 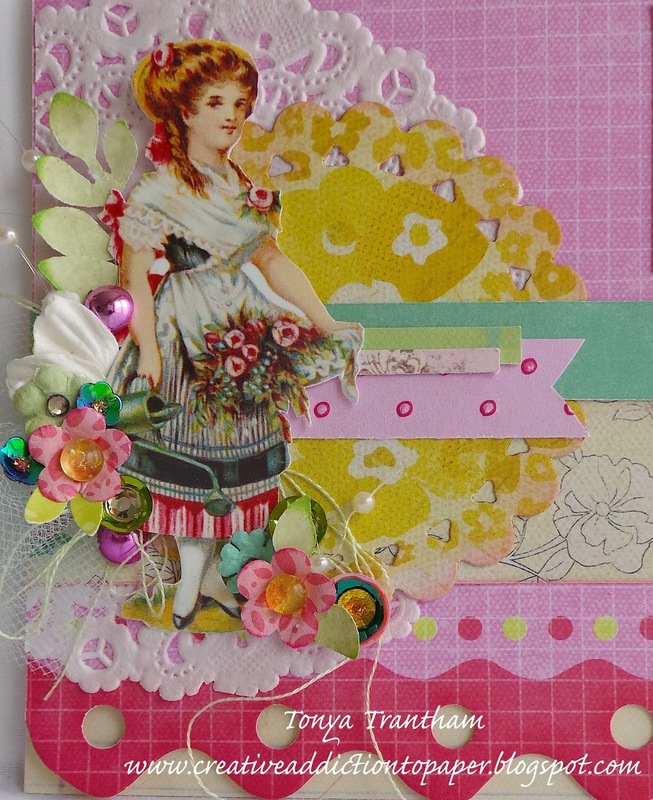 It is me, Tonya and I would like to share a card I created for Crafty Card Gallery and this month’s theme is flowers. What I created isn’t a card but a little gift bag which you can put a card inside, gift card or something fun. I started out with a 5″x7 1/2″ Large Paper Bag which I cut the “flap” off and punched the top of the bag with a decorative punch. Cut and adhered a 5″x5″ piece from the Take Our Breath Away Gypsy Moments Cardstock and ink the edges with green chalk ink. Then I adhered a Black Bookmark off center of the bag. I cut the Best Wishes image from the Seed Packets on Ivory Cardstock. I love this collection. You can leave it as is or add paint/color to the image. I used pop dots to raise the image off of the bag. I also used thread,l tulle, lace, pearl sprays, paper flowers and buttons to finish off the bag. I hope you like what I created and if you have any questions please let me know. Thanks for stopping by, hope your Saturday is awesome and enjoy creating! Hi everyone! 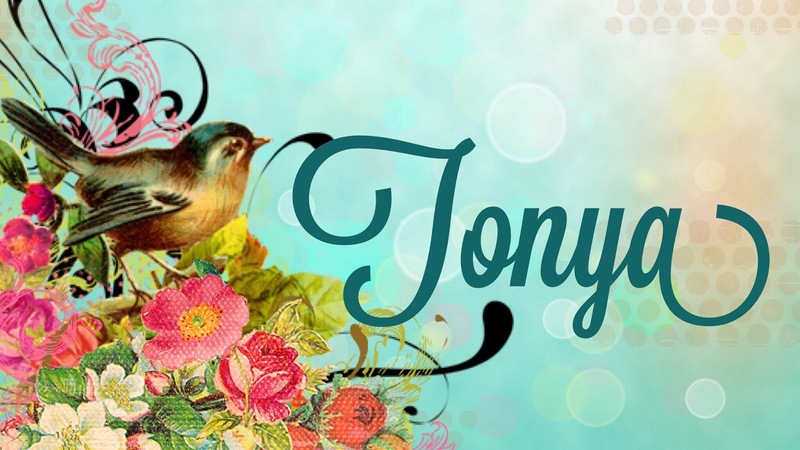 It’s me, Tonya and I’m here to share my card I created for the Crafty Card Gallery. The theme for the month of October we had to either use pumpkin/jack o’lanterns or chocolate. This is what I came up with for my card. The base is a folded 6″x6″ piece of purple cardstock. I cut and layered patterned cardstock/scrapbook paper which I adhered to the base of the card. The Clyde’s Pumpkin Patch image is cut from Echo Park’s Chillingsworth Manor Poster and Tickets sheet of cardstock. I distressed the edges and then inked. Then added pop dots to the back to give it some “height”. I cut three thin strips of orange tulle and made mini bows out of them. I adhered behind the image along with some black and white polka dot flowers and some mini lime green balls picks that I had bought at Christmas but never used. I also added sequins, dew drops and black lace. I finished off the card with ric rac and buttons. I’m really pleased with how the card turned out and was very easy to make. If you have any questions please let me know. Thanks for stopping by, hope your Saturday is awesome and enjoy creating!